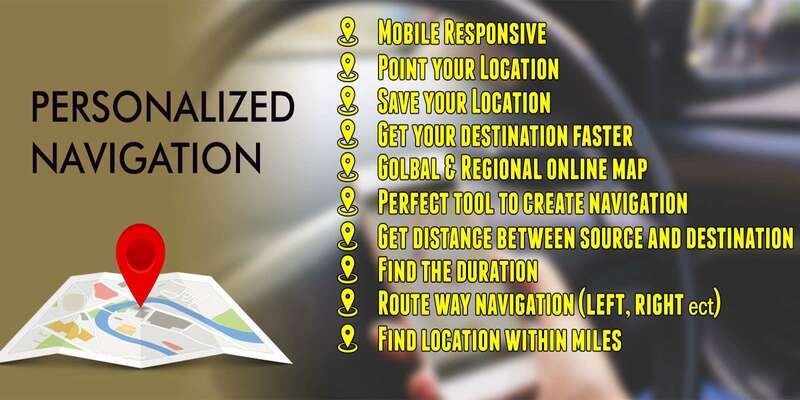 It is a mobile responsive tool to Point and save your location to get the destination faster. You can add multiple places by point the location with various fields such as place name, contact person name and email whereas state,city are automatically generated while selecting the location in map. This tool helps to find the nearest places by searching and selecting the particular place within miles. It also provide the route way navigation between source and destination. On the settings page you can change admin name, username, password, Site name, map icon, map default zoom etc.